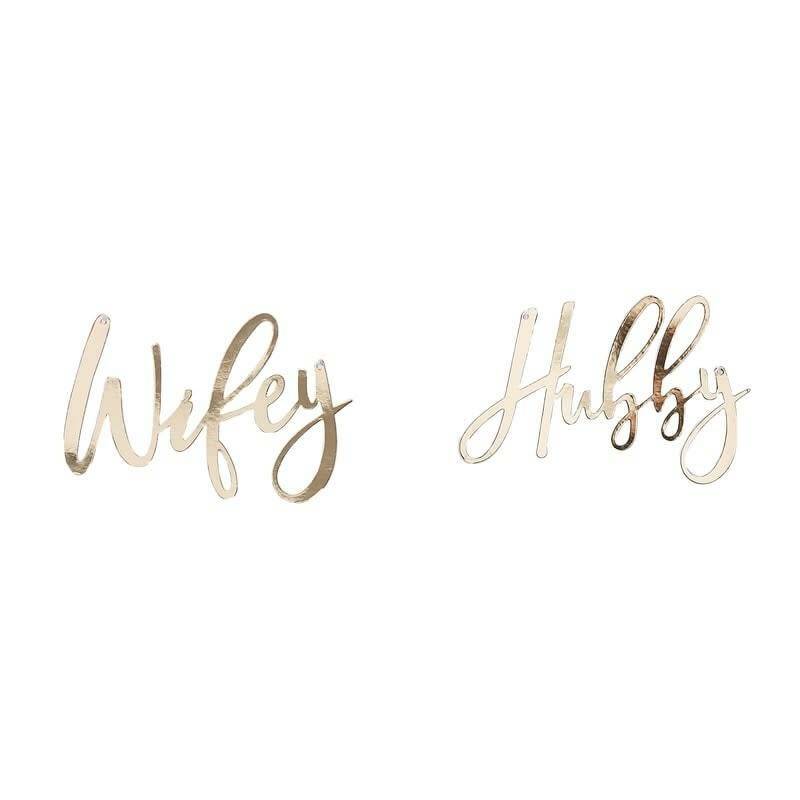 Add a romantic touch to your wedding day with these gorgeous gold card "Wifey & Hubby" Chair Signs. 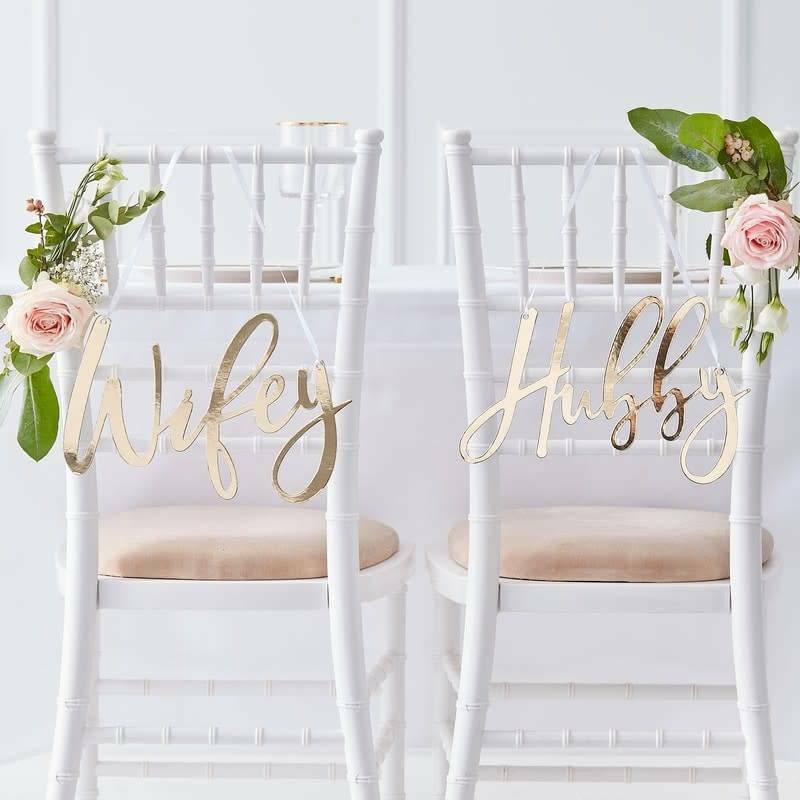 The unique signs would look stunning on the back of the newly-weds chairs at the reception! The gorgeous gold signs have a stunning scripted font which can be hung by the ribbon attached. Perfect for using on your big day and even within your home after. Each pack contains 2 chair signs measuring: 30cm (W) x 20cm (H).